Wendy Lohr: Starward Release Day!!! 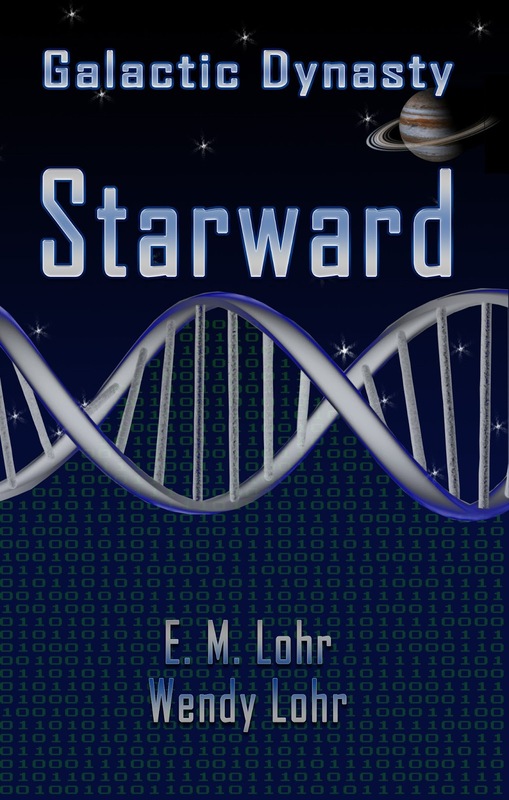 Yes, you read the title right....Starward has finally released! WOOT!! *Throws confetti* So, here's the cover, synopsis, and purchase links for all you readers interested in sci-fi/adventure novels! DNA, the schematic for life, and so much more. For the long dead aliens, it’s a message media of treachery and treason through the centuries. For the mission to the stars, it’s an absolute requirement. But for Rosa, it’s a curse of being the only one with the right DNA. Going into space isn’t on her life list. But events centuries before her time has set fate into motion from which there is no escape. So she reluctantly embarks on the ultimate space adventure…to unknowingly deliver the dead aliens’ message of betrayal! This book can be purchased on Kindle, Nook, and in paperback through CreateSpace and Amazon. I love to hear feedback, so let me know what you think of the cover and synopsis and whether this sounds like a book you'd be interested in reading! And if you purchase this book, please spread some love by reviewing it on Amazon, Barnes & Noble, or Goodreads!